Welcome to Carina Author week a week full of Reviews, Guest Posts, Author Interviews and Giveaways, all about published authors by Carina UK. 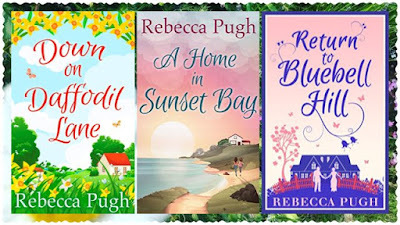 I'm delighted to welcome my second guest, Rebecca Pugh, author of Return to Bluebell Hill, A Home In Sunset Bay and Down on Daffodil Lane. Today, I’m delighted to be here on the fabulous Isabell’s blog to talk about my favourite things about being a writer. Thank you so much for the invitation, Isabell. 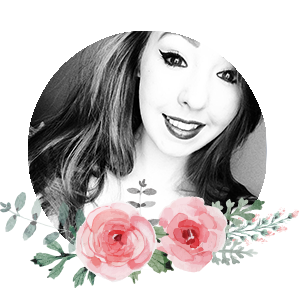 It’s a pleasure to be here as I’m such a massive fan of your gorgeous blog. My number one love when it comes to writing is the fact that the world is my oyster. I can choose to set my character’s story absolutely anywhere. The choice is also mine as to whether my characters will stay there, or instead travel to other places, which is very exciting indeed. I’m also in control of what happens to my characters throughout the progression of their story. Will they fall in love? Will they fall out of love? Will they make new friends, get a new job or make some monumental mistakes? Who knows? The list of possibilities is endless, and that’s something I adore about writing. The freedom you have has no limits, so you really are free to go wild! Sometimes, if I’m ever stuck in a rut, it helps to remember this, and my imagination becomes fired up all over again. Writing has also put me in touch with a number of wonderful authors who have so much advice and wisdom to share. As you already know, I’m a passionate reader as well as writer, and it’s still completely surreal when an author of one of my many, much-adored novels follows me back on Twitter or even stops to chat with me! I’m not too proud to say that it still sends me a little fan-girly at times because I never thought in a million years that that would ever happen. The writing/book community is a very special one and I’m sure you’ll agree. It’s full of so many fantastic people who are equally as passionate about books and writing, and it’s such a brilliant community to be a part of. Addictive, too! I can never quite get enough of bookish talk and sometimes I have to force myself to put my phone down and get on with the day. I’m a bit of a social-media addict these days! I’m dealing with it. Honestly! Another thing I utterly adore is when the time rolls around for announcements. Whether that be announcing the title of my forthcoming novel or revealing a brand new cover, I thrive off it and absolutely LOVE sharing this excitement with readers. If you follow me on Twitter, then you’ll know that I’m the excitable type, and so when these things happen, I lose my cool completely. I can’t help it though! The same goes for other authors’ announcements and cover reveals. There is something magical about getting involved with it all, and then following the excitement that leads up to publication day. For me, personally, being sent my cover is always a special moment, although I’m sure this is the same for plenty of other authors out there too. I see my name on the cover and still find it hard to believe that it’s really happening, that that name is mine! It sounds silly but it’s the truth. Do these things ever sink in? It hasn’t happened yet! Typing those two words ‘the end’ always feels like a massive achievement too. After all of the worrying and self-doubt and endless nights of edits and re-writing, reaching the end of your story is completely amazing. Not because it’s over and you’ve finished all of the work that needed to be done (although that does come as a relief! ), but because your character’s time in the spotlight is done. Will you think oddly of me if I tell you that I always feel rather sad when I reach this point too? It’s impossible not to become attached to your characters. After all, you go through a hell of a lot with them during your time writing their story, don’t you? When it comes to saying goodbye, I always sit there and wonder for a while what they’ll get up to now that I’m leaving them to their own devices. I know, it sounds bizarre, but I suppose it’s all part of having a writer’s brain! 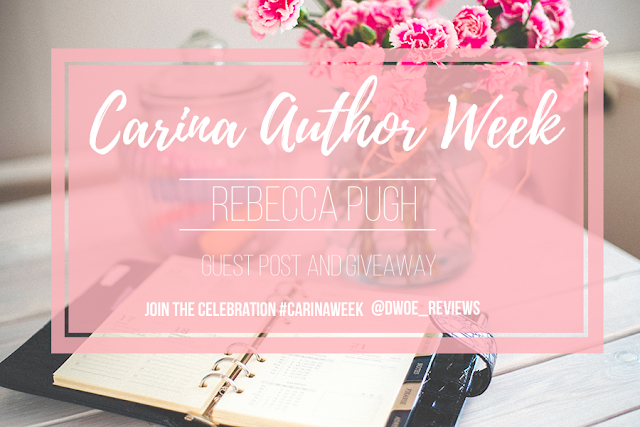 Here is your chance to win Rebecca Pughs latest release Down on Daffodil Lane.